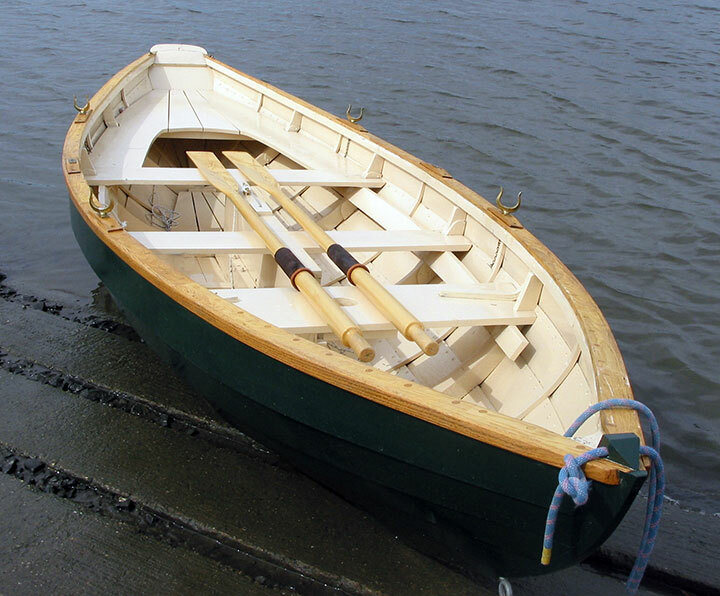 David had attended a traditional boatbuilding course at Mystic Seaport, and there became smitten with Swampscott dories. 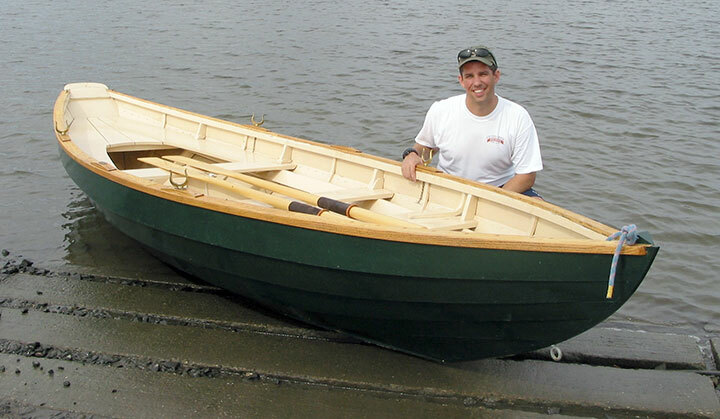 With the help of his wife, Keahola Freidenburg, who held the backing iron for more than 700 copper rivets, he built and launched his own Swampscott dory, SWAMP YANKEE, in 2004. He used tradition construction using 1/4" white pine planking over white oak frames, fastened with copper rivets. He made the spars from spruce found locally. She rows and sails beautifully.